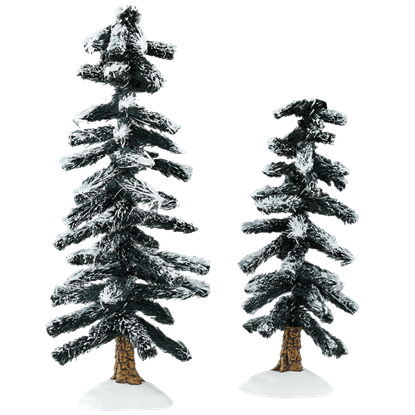 Accent your winter wonderland display with fantastic miniature trees, topiaries, artificial snow, and other landscape accessories by Department 56! We are pleased to offer an excellent range of greenery for holiday village sets of all kinds. Our tiny sisal trees feature excellent texture, and many are decorated with frosted tips to mimic freshly fallen snow. Other village trees have been decorated with Christmas ornaments, ribbons, glitter, or lights for a festive appearance. 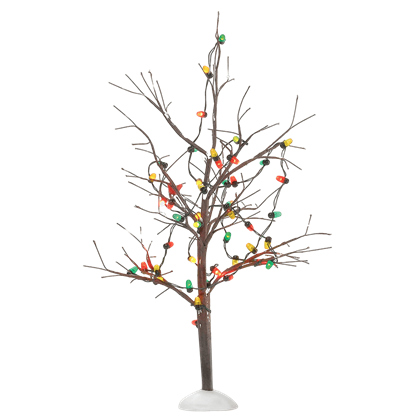 Our resin trees provide an alternate look, coming in green, red, and white designs. Or, North Pole villages can show off quirky gumdrop trees and peppermint trees as cute landscape accents. Potted plants and miniature shrubs are perfect for placing around buildings and park benches in your wintry scene. Bags of our plastic snow and snow blankets ensure that your town will look appropriately frosty, while autumn and springtime moss packages offer alternate seasonal looks. Pick out individual pieces, or enjoy setting up your Christmas village with our landscape kits. Either way, these pieces provide detail and charm to your display! With a consistency of fine, new fallen snow, this artificial snow decoration offers a great way to add realism and charm to your village display. 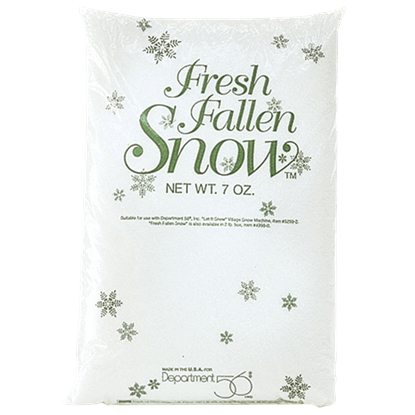 The Bag of Fresh Fallen Snow works well for lining roadways and sidewalks. 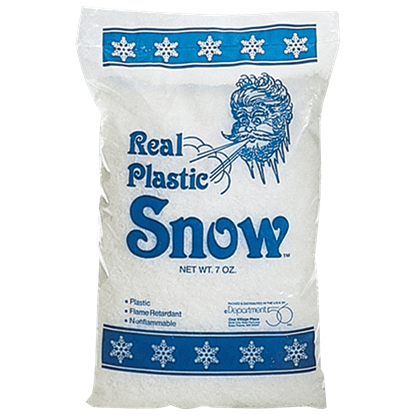 An absolute must for anyone building a holiday village display, our Bag of Real Plastic Snow helps to transform any setting into a winter wonderland. The white artificial snow can also be used in nativities and North Pole scenes. Guaranteed to never melt, the Blanket of New Fallen Snow offers a fun way to enhance the landscape of your winter village. 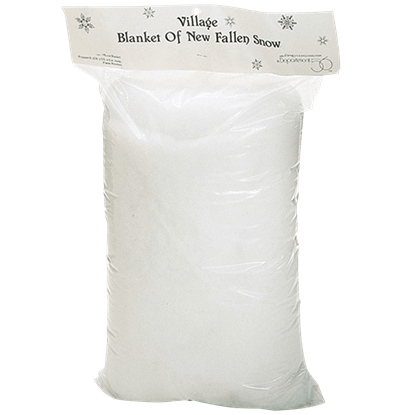 With a generous depth of one inch, this snow blanket lets you roll out a snow storm in any village display. In a barren winter landscape, birds provide touches of color as they flit from tree to tree in search of food and shelter. 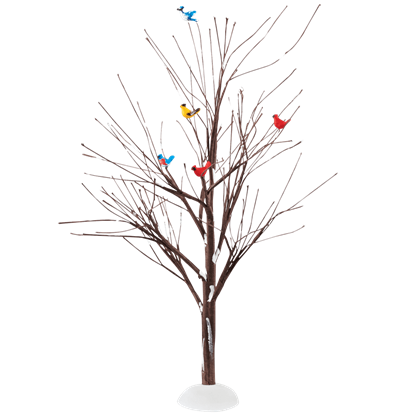 The Feathered Friends Tree displays five bright birds as they rest among the bare branches of a frosty tree. 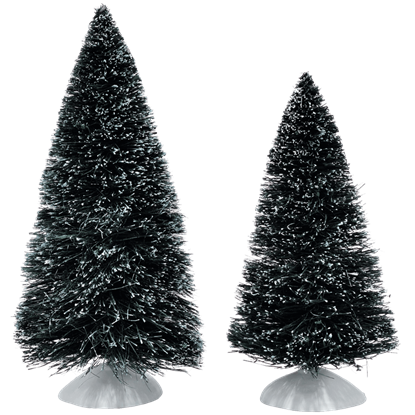 The perfect way to give a wintry look to your holiday village scene, the Frosted Medium Pine Trees provide charm to your landscape. The two sisal trees display frosted detailing, looking as though a dusting of snow has just fallen. 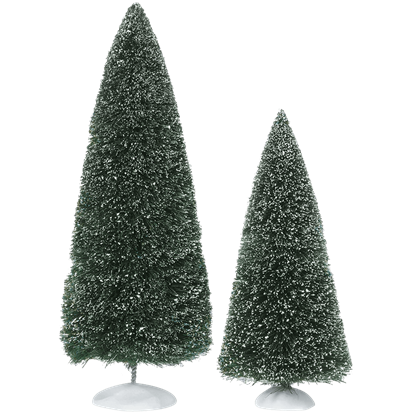 The perfect way to give a wintry look to your holiday village scene, these Frosted Pine Trees provide charm to your landscape. The two sisal trees display frosted detailing, looking as though a dusting of snow has just fallen. 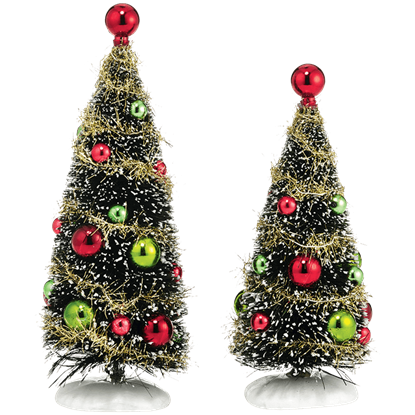 Frosted sisals decorated with large, shiny red and green balls, the Glitzy Holiday Trees make a standout landscape accessory for any Christmas village display. Golden tinsel encircles the miniature sisal trees, adding glamour. The Green Holiday Trees create a glittering scene in your Christmas village, providing the landscape with charming detail. 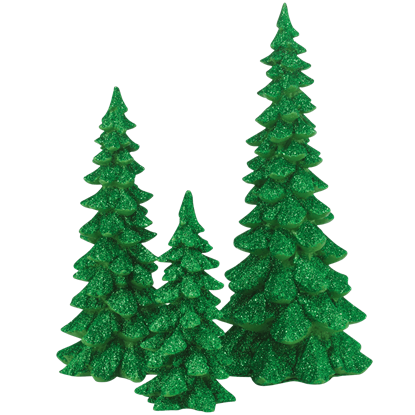 These decorative tree figures display a bright green color enhanced with a sparkly glitter finish. 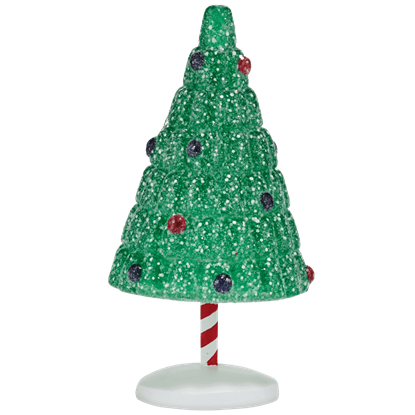 With a spiral candy cane trunk, gumdrop ornament details, and the perfect dose of glittery green holiday fun, this Gumdrop Park Christmas Tree is a fantastic way to let your sweet tooth come out in your Christmas village decor. The only thing that could possibly make a natural evergreen tree even more beautiful is freshly fallen snow. Capture the splendor of a frosty December morning inside where it is warm and toasty with this set of Heavy Snowed Trees! The lights that sparkle from the limbs of Christmas trees are one of the most telltale signs that the holiday season is upon us! Incorporate this beautiful look into your holiday decor with the sparkling Large Twinkle Bright Tree. Bright strings of lights are so charming, especially when they add life to a tree whose leaves have fallen in the cold weather. 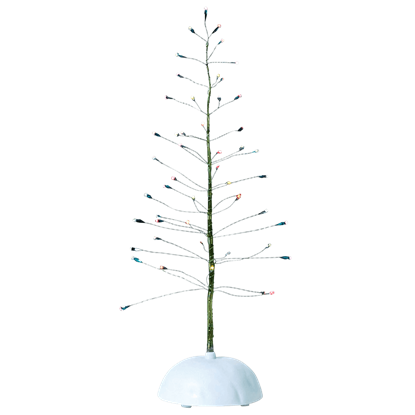 This Lighted Christmas Bare Branch Tree will add a classic holiday feel to the decor of your home.